Ching Shih (aka cheng i sao, zheng yi sao), the Chinese female pirate, considered as most powerful and fearsome pirate in history. 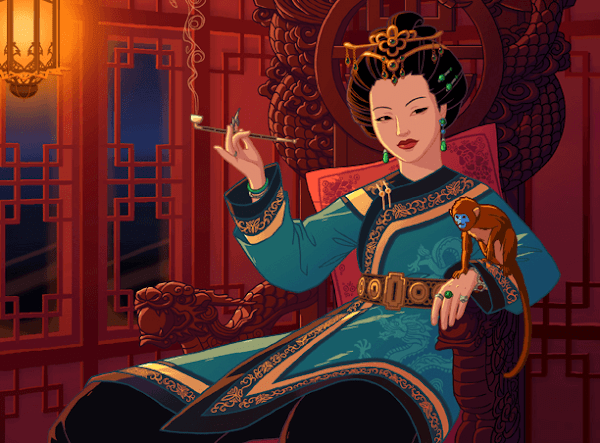 She commanded as many as 80,000 pirates and had become a queen of the China Sea in the early 19th century. She was also one of the few pirate captains to retire from piracy. Shi Xianggu (Ching's real name) was born probably in 1775 in Guangdong and lived in Canton. She worked as a prostitute in a small brothel in Canton until she was captured and eventually married by the notorious pirate Cheng I in 1801. Ching Shih used his reputation to gather a coalition of pirate fleets in Cantonese. Finally in 1804, they were succeeded in forming a powerful pirate fleet in China, known as "Red Flag Fleet, a union of hundreds of ships and tens of thousands of pirates. In 1807, Cheng I died in a typhoon. Ching Shih was ready to take over his position as the leader of the largest pirate fleet. Moreover, she controls every aspect of the business by issuing a code of laws. Under the leadership of Ching Shih, Red Flag managed to terrorize all who travelled on the China Sea or lived in coastal villages. It is estimated that Ching Shih led a group of at least 1800 fleets and 80,000 pirates including women and children. Red Flag fleet strength cannot be matched. From the first moment of her command, Ching Shih soundly challenged empires, including the British, Portuguese and the Qing dynasty. The Chinese navy endorsed by the British and Portuguese navy tried by all means to curb the incursions of the fleet of Ching Shih but at the end of 1808, the Imperial Navy had lost sixty ships. 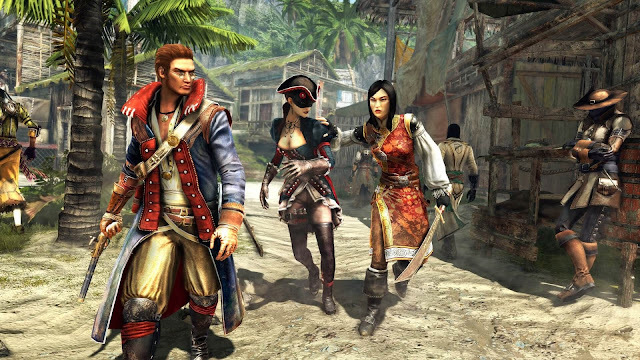 By realizing it is hopeless to defeat her; in 1810, the Chinese government offers forgiveness to all pirates. She takes advantage of this news. She negotiated with the government to keep the plunder she earned as a pirate lord. Ching Shih finally quit as a pirate in 1810 and opened a gambling house. She died in 1844 at age 69. After Cheng I’s death, Ching Shih married to her step son Cheung Po Tsai, he was adopted by Cheng I.
Ching Shih is featured in numerous novels, films and video games (badass women pirate in assassin's creed 4). 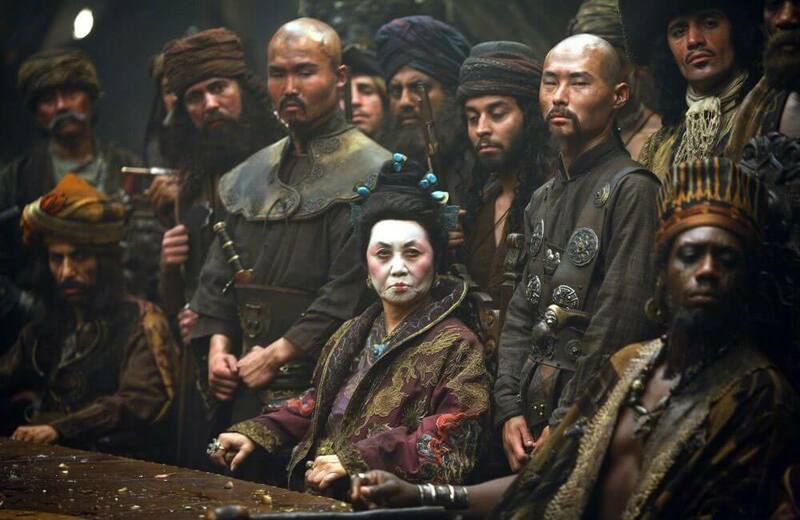 In 2007, in the third film Pirates of the Caribbean: At World's End (2007), Ching Shih portrayed as the powerful pirate Mistress Ching.